The Mediterranean diet involves lots of whole grains, vegetables, beans, nuts, olive oil, fish and smaller amounts of dairy, poultry and even a little red wine (if you like). For the first time this year, a panel of experts convened annually by U.S. News & World Report has ranked the Mediterranean diet as No. 1 in its Best Overall Diet category. The DASH (dietary approaches to stop hypertension) diet tied for the top spot. The Mediterranean diet also earned the top spot in the Easiest To Follow category. "We continue to see more and more robust research suggesting its benefits for weight loss, heart and brain health, cancer prevention and diabetes prevention and control," says Angela Haupt, assistant managing editor of health at U.S. News & World Report. Other top contenders in the easy-to-follow category include the commercial weight-loss plan Weight Watchers and the Flexitarian diet, which is a flexible, mostly vegetarian approach to eating. Each year, U.S. News asks a panel of nutritionists, dietary consultants and doctors who specialize in diabetes, heart health and weight loss to score dozens of diets in nine categories — including ease of adherence, best for heart health and diabetes, and best for fast weight loss. There is also a category for best plant-based diets. "No single diet is the best for all of us," writes David Katz, one of the panelists, in a release about the new rankings. "Ultimately, a 'best' diet is one that can be adopted, managed and sustained over time," says Katz, who directs the Yale-Griffin Prevention Research Center. Two diets are new to the list this year. The Ketogenic (or "Keto") diet is a very low-carb, high-fat approach to weight loss. It's not a new idea. It has been used as an approach to prevent seizures in children with epilepsy for decades. As the Harvard Health Blog explains, once our bodies have used up all the sugars we've consumed, our bodies can switch over to using stored fat as a source of energy — which can aid weight loss. This usually happens "over two to four days of eating fewer than 20 to 50 grams of carbohydrates per day," explains Dr. Marcelo Campos in a Harvard Health Blog post. Despite its popularity, the Keto diet comes in last place in the U.S. News ranking. "Our experts agree the low-carb plan isn't a healthy way to lose weight. It can be extreme — and hard to stick to," says Haupt of U.S. News. Haupt says the experts say the Keto diet is not a good option for preventing or controlling diabetes or heart disease and could be dangerous for people with severe diabetes, heart disease or kidney problems. "You might lose weight in the short term, but that doesn't mean Keto is a good (or safe or healthy) idea," Haupt says. 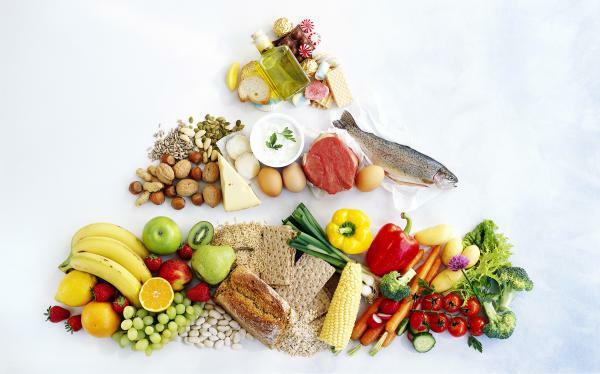 The other diet new to the U.S. News ranking is the Nutritarian diet, which is ranked No. 15 in the Best Diets Overall category. It was created by family physician Joel Fuhrman. The plant-centered diet emphasizes foods that are nutrient dense, such as kale and other leafy greens. Its emphasis is on avoiding disease-causing foods.